Enter the magical world of Umbra, rumoured to be "haunted by its fateful past, and join a party of unlikely heroes on their journey to rescue Amon's uncle from an ancient cult and uncover the secret of Earthlock.” Earthlock by Norwegian developer Snowcastle Games was first released for PC and Xbox One in last September. Now it is coming to PS4, and the date announced, via the PS Blog, for both NA and EU is January 27. Characters can be customised throughout the game via Talent Boards. Item crafting takes on a new twist as you farm your own ammo by growing and harvesting plants. Combat flow is streamlined through the use of button-mapped abilities, avoiding nested menus. 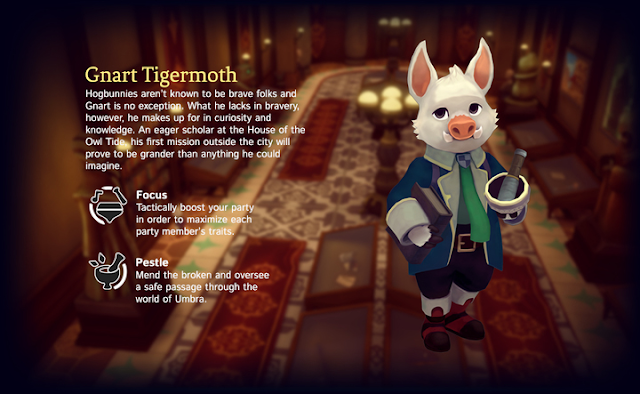 As a nice touch, the character Gnart was carried over from their previous game Hogworld: Gnart’s Adventure; he now works as a librarian. Progressive metal music and video games aren’t a common combination. Rock music, classical music, pop music — they’ve all been heavily featured in games. Yet metal has lacked proper representation outside of, say, Rock Band… until now. Dream Theatre (the band) has partnered with Turbo Tap Games to create The Astonishing, a game based on the album of the same name. It’s like The Who’s Tommy, but using more contemporary forms of media. The game is a digital board/strategy game inspired by UHR-Warlords and will reenact the album’s story from both sides of the conflict. The Astonishing (game) follows the album’s story while using instrumentals of the album’s music as the soundtrack. As far as story goes, the narrative presents some seriously heavy political content: the Raveskill Rebel Militia and the totalitarian Great Northern Empire of the Americas are in conflict, and both sides are represented. It’s a fictional story with some extremely heavy content, involving rebels working against a totalitarian government using the power of art and music. The game will be released on Android, iOS, PC, and Mac next month. 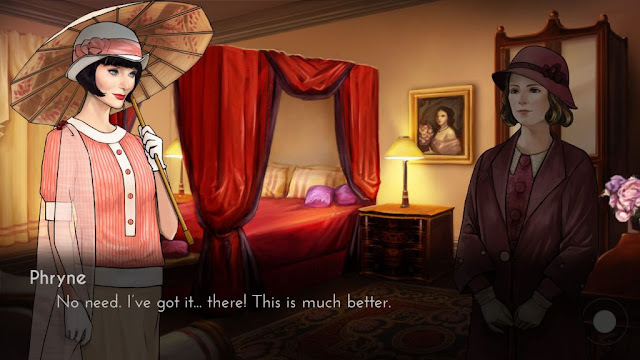 Australian studio Tin Man Games is releasing Miss Fisher and the Deathly Maze, the first chapter of their episodic visual novel series, on the iOS App Store February 8. The developer is known for its adventure gamebooks — The Warlock of Firetop Mountain, An Assassin in Orlandes, To Be or Not To Be — and Miss Fisher is their first foray into the visual novel genre. The story is based on the popular Australian TV series Miss Fisher's Murder Mysteries. Miss Fisher and the Deathly Maze's story sees the smart and fashionable Miss Fisher and her trusty companion, Dot Williams, on the trail of her nemesis, Murdoch Foyle. Gameplay involves hunting clues to Foyle's whereabouts by playing a range of characters, visiting locations across the globe. The game includes music from the show, composed by Greg J. Walker. Let's hope Miss Fisher makes it to other platforms, too, and soon! "We're inspired by games that foreground exploration, visual atmosphere and mystery," says developer Infinite Fall. "But where many of those games emphasize solitude, Night In The Woods takes place in a town full of colorful citizens and features a memorable central crew with their own relationships, problems and motives. This isn't an empty world- it's packed full of people, places and things just waiting to be found, along with lots of stuff to do, all of which are different when night falls and you venture out into the empty streets to unravel the mysteries of Possum Springs." We love the art style, humour and mystery in what we've seen so far of Night in the Woods, and expect a fully polished game to dive into.